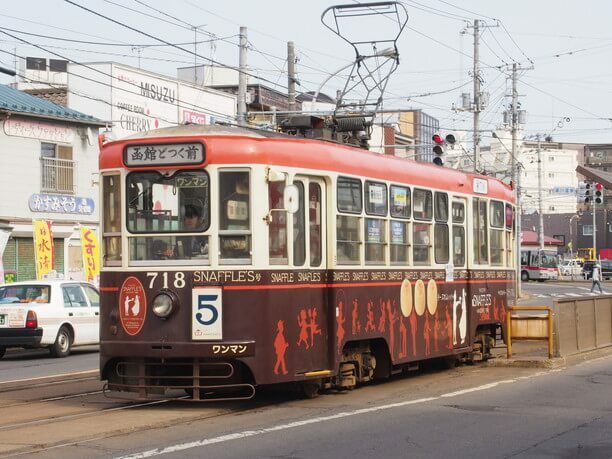 A streetcar that runs through the center of Hakodate city is a convenient means of transporting yourself around tourist attractions in the city efficiently. 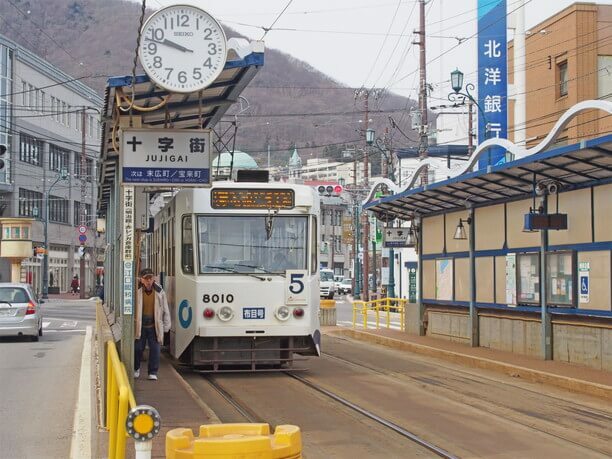 There is a tram stop at the Hakodate Station, which is convenient for going to Motomachi, the Bay Area, Hakodate Mountain, Goryokaku, Yu no kawa hot springs, and Yachigashira. 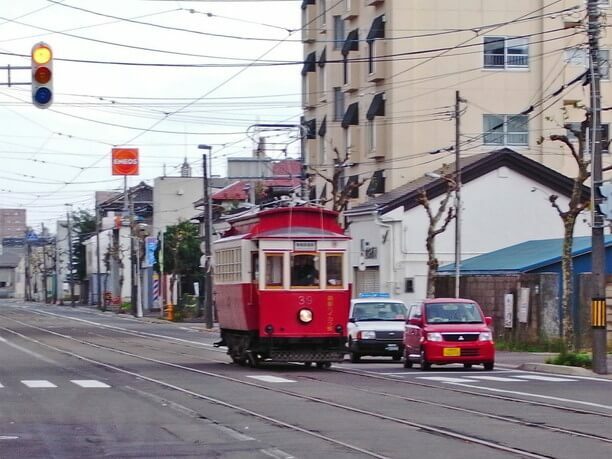 Beginning with the horse-drawn carriage railroad in the Meiji era, Hakodate-city electric trams have been active for more than 100 years with the first tram appearing in 1913. It is an important form of transportation for shopping, commuting, school attendance and citizens just needing to get around. It is fun to watch the scenery from the window, as scenes slowly flow by. It is a great way to fully enjoy your journey through Hakodate! And there is a variety of retro vehicles to ride. Explore two routes, that’s destination is divided on the way! 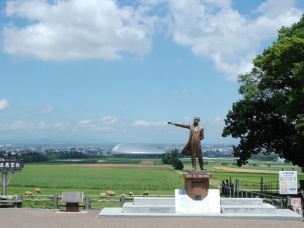 When you leave Hakodate Station you will be on the main road (National Highway No. 5) and in front of you is the Bus Rotary, and to the right you will see the Hakodate ekimae Station. 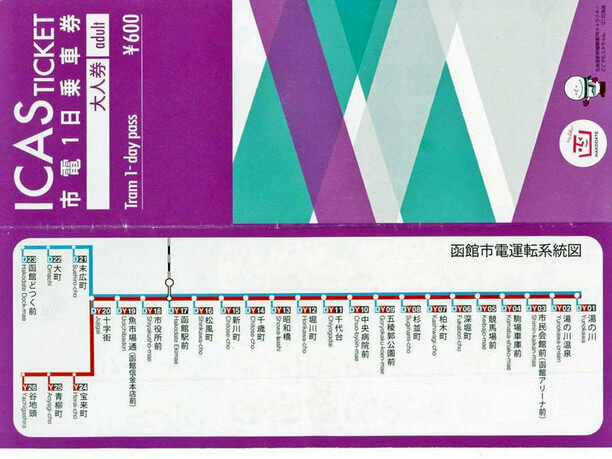 There are two routes: line 2 connecting Yu no kawa to Yachigashira and line 5 connecting Yu no kawa to Hakodate Dotsuku. The east side track takes you from Hakodate Ekimae all the way to the Yu no kawa, but the west direction route is divided into “1 Hakodate dotsuku” and “2 Yachigashira” after passing the Jujigai station. The Yu no kawa to the Jujigai route runs every 6 minutes during the day. Lines two and five trams alternate. In addition to being displayed on the vehicle, the number of “2 (go to Yachigashira)” and “5 (go to Hakodate dotsuku)” are also posted. On the way back, both routes go to “Yu no kawa”. It is important to know how to travel on the tram! The first ride is sometimes somewhat frustrating. 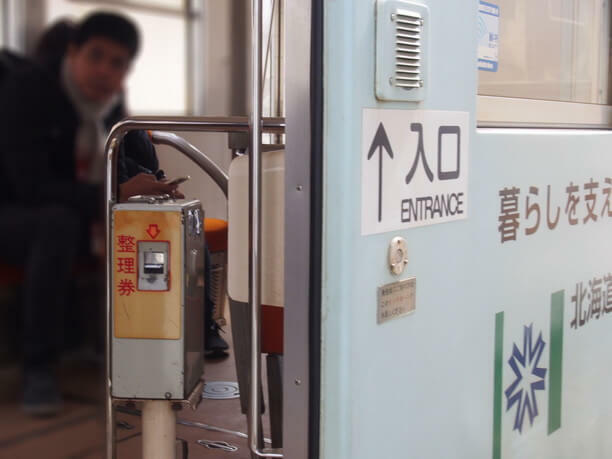 Hakodate-shi electric ride method has become a post-payment system. When the tram is coming, take a numbered ticket from the door in the center. 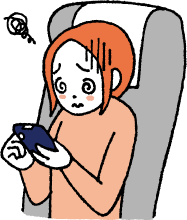 The fare is 210 yen to 250 yen depending on the distance. Prepare the amount indicated on the fare indicator by pushing the exit button when approaching the target electric stop. Put a numbered ticket and money in a fare box at the side of the driver’s seat and get off at the front door. If you are going to go sightseeing in Hakodate, you can get a one-day ticket (600 yen) dedicated to the city car. You can show this ticket to the driver when you get off the train. If you buy a one-day ticket you can also get a map. 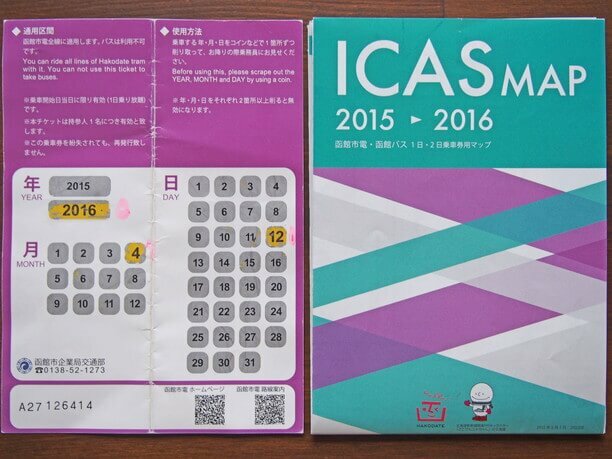 It is easy to carry around since it is a folding type. 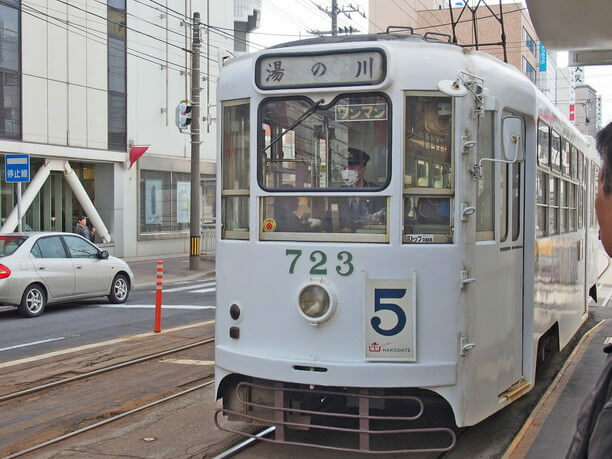 You can visit Motomachi, and a foreign cemetery above the Bay by tram! 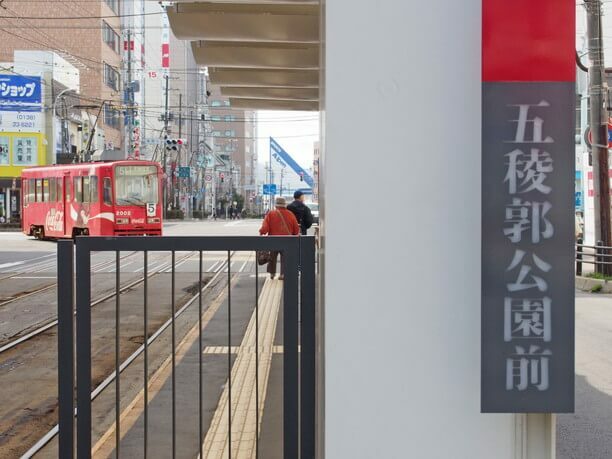 With the Hakodate Town Electric tram you can travel around the main tourist attractions of the city such as the Kanamori red brick warehouse group and the former Hakodate Ward public hall efficiently. 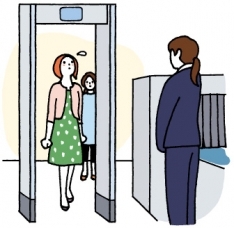 Because the time spent at each station is short, it is polite to get on and off as quickly as possible. 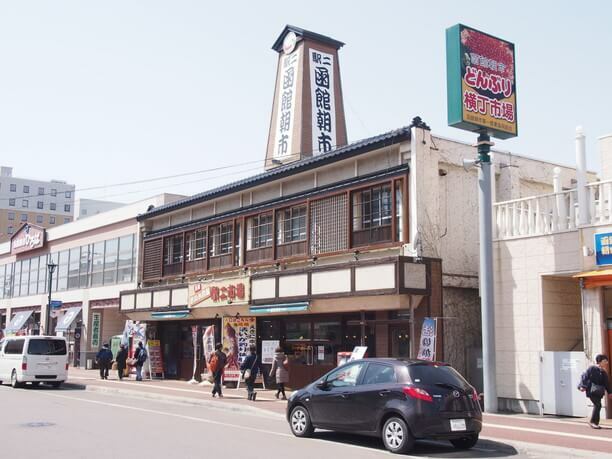 You can get to Hakodate morning market soon after Hakodate Ekimae Station opens. There you can get a seafood rice bowl with fresh seafood. The third cross street westward from Hakodate Station is the Jujigai station. Here the route is divided into two. In the photo above you can see in the lower left-hand corner a switch where the staff used to switch destination points manually. 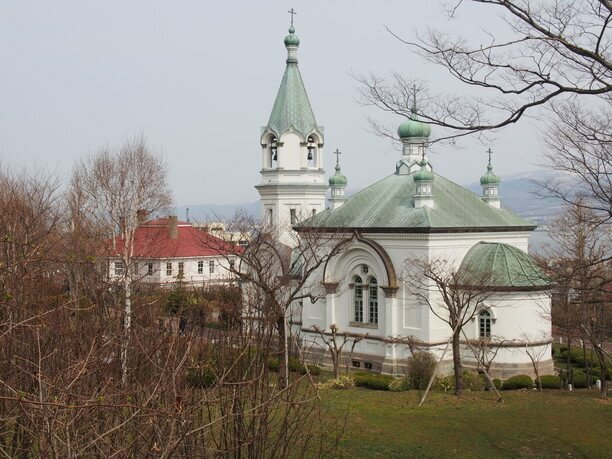 From the Jujigai station cross street, it is about a 10-minute walk to Motomachi church group such as Hakodate Hallast Orthodox Church. It is about 7 minutes to the Bay Area where the Kanamori Red Brick Warehouse is located. This is also the nearest tram stop to the Hakodate Mountain Ropeway Foothills Station. 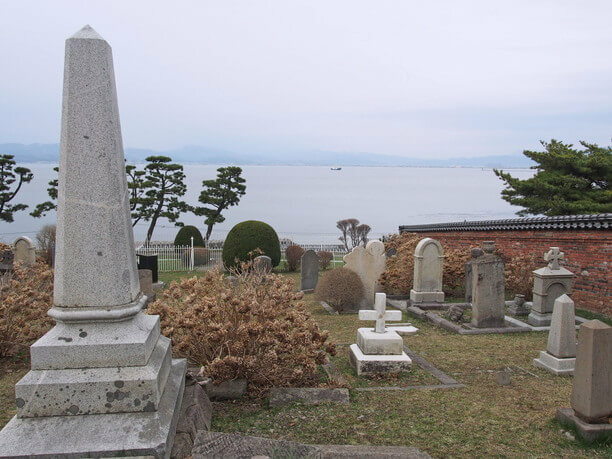 From the end point of line 5, it is 15 minutes on foot to the Hakodate lodge, from that height of the cemetery you can see the blue sea spreading out in front of you. 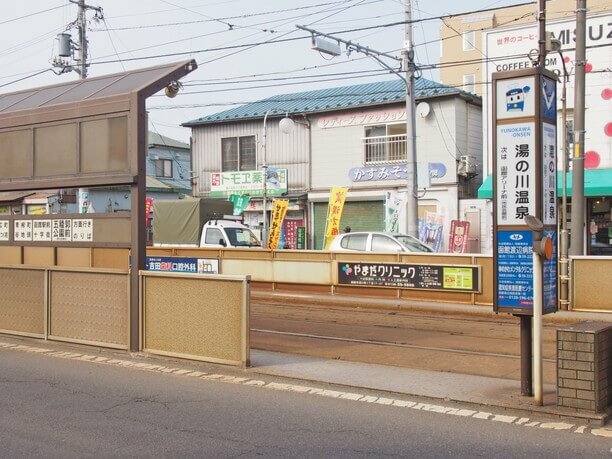 From line 2 it is three minutes on foot from Aoyagi cho station to Hakodate Park and from the Yachigashira station it is 5 minutes on foot to the Yachigashira hot springs. The hot springs containing brown iron is strongly loved by locals. 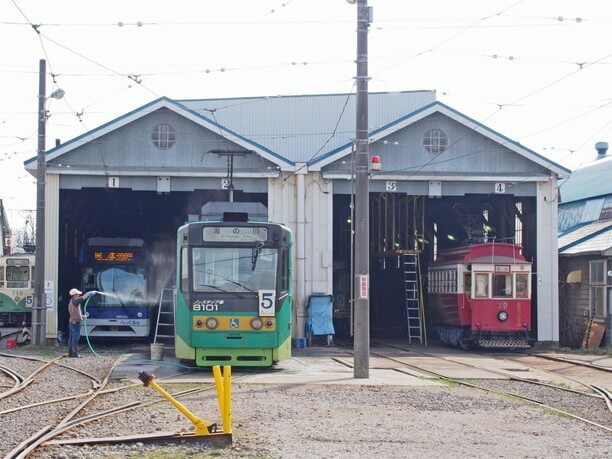 Visit the Komaba garage where you can see a variety of retro and special design tram cars! Going the eastern direction from Hakodate Station to the Yu no kawa station you arrive at the Goryokaku park station. 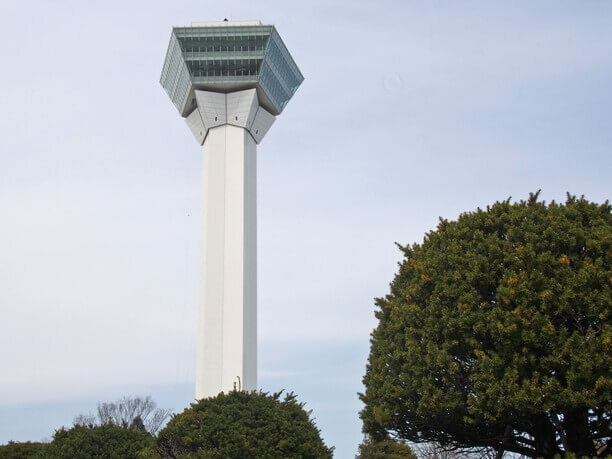 It takes 15 minutes on foot to Goryokaku Park and Goryokaku Tower. 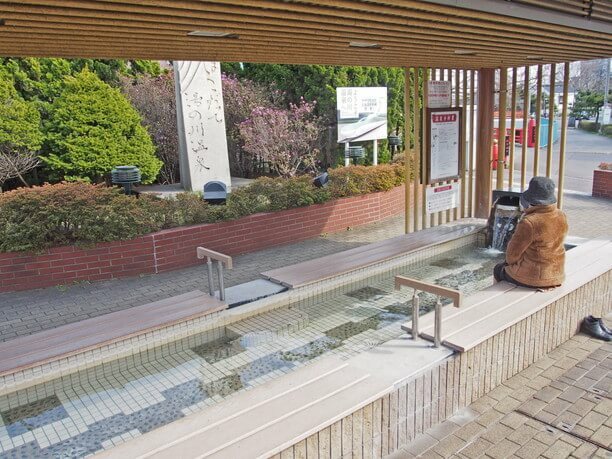 At the endpoint at the Yu no kawa onsen station there is a footbath which has hot water you can enter for free. There is also close-by a hotel and a public bath that you can utilize for a day trip to the hot springs of Yu no kawa. river. 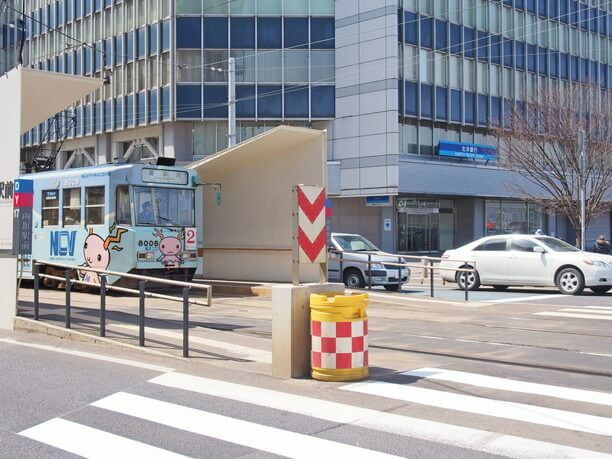 Even if you are not a fan of traveling by electric tram, the Komaba garage is a place you will want to visit. It is in front of the Komaba Terminal Electric stop. Although you cannot enter inside of the tram station where maintenance and management of the vehicles are carried out, you will love looking at the electric trams from the outside. If you are lucky you will see the 500 type and 530 type cars that were made in 1950. They are often used in movies and dramas, and there is also the Taisho retro vehicle “Hakodate Hikara Go.” It is used for a limited time operation! Colorful cars coming in and going out of the garage are fun and exciting to watch! 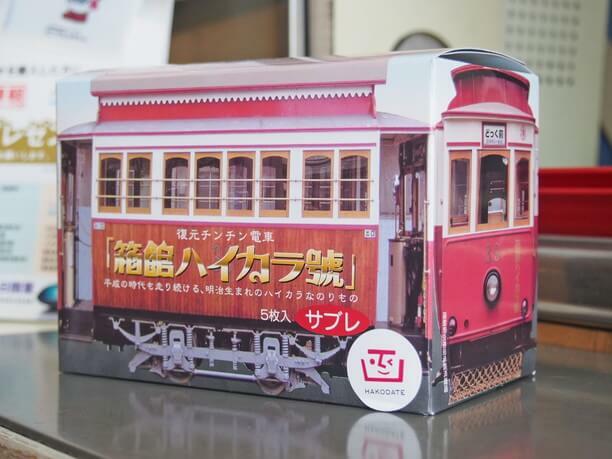 At the Komaba ticket sale office in the nearby hotel you can get electric tram goods including limited items, die-cast cars that are exactly like the ones you ride. 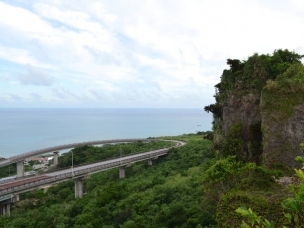 Try a ride on the Hakodate Hikara Go! 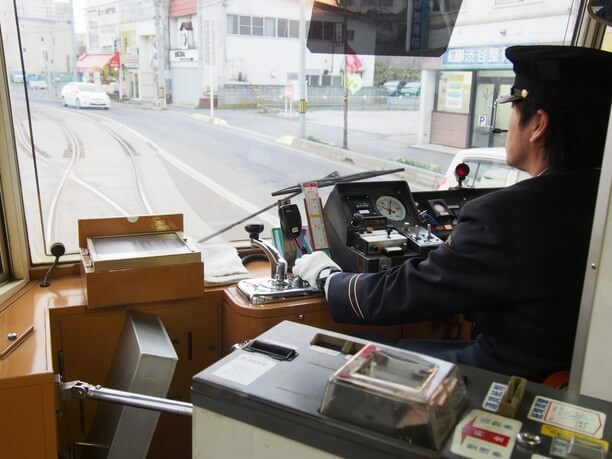 If the timing matches, you can take a ride on Hakodate Hikara Go. The mood is like slipping back in time as you enter the retro car with its wooden interior. On board is a woman conductor who wears the uniform worn in the past. An announcement of tourist information also flows. The operation period is from April 15th to October 31st, five times per week from Thursday to Monday. Above is a picture of Hakkan Hakara Go limited edition cookies (580 yen). Not only the package but also cookies are in the form of a tram. Hakodate Hikara Go. operated as a passenger car from 1918 to 1936, after that it was active as a powder snow type snow-removing car. Now restored to its original design, it is an idol car in Hakodate! The vehicle with the the appearance of the Hokkaido Shinkansen which opened in 2016 is also popular. 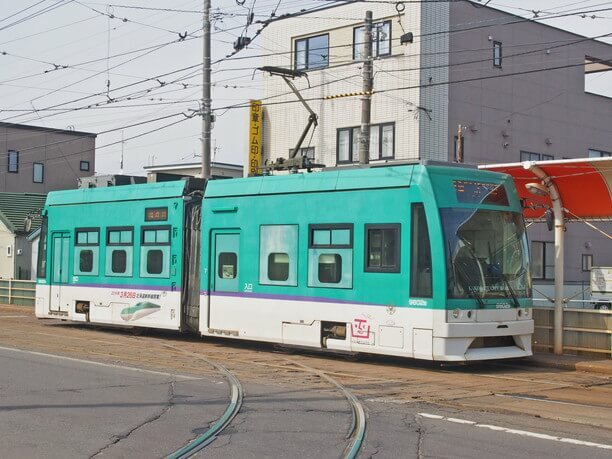 Other specially designed vehicles are also available that will make your trip on the Hakodate Tram fun and memorable! If you buy "Hakodate bus" and " Hakodate tram” common 1-day ticket" (1,000 yen for adults, 1,700 yen for 2-day tickets), it will be very convenient to sightsee all around Hakodate! If you get on the tram, it is recommended to sit on the right front side. You can see the scenery from the big window, and it is fun to see the driver's operation. From the streetcar window, you can see many traditional buildings such as the Renaissance style Western-style warehouse built in Taisho era. Once you find the scenery you are interested in, get off at the next stop and try walking. It is also good for photo shoots spots.